Chanel your inner mermaid during this 4-hour scuba diving trip from St. Maarten. A professional instructor will explain the basic safety principals and then you’ll get a chance to dive, without having to get certified. 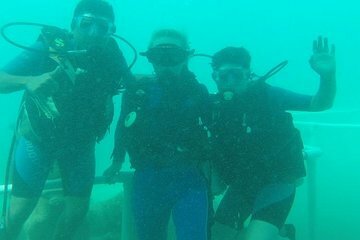 You’ll explore the island’s best shallow reef, never going deeper than 30 feet, and visit a wreck site. All the necessary gear is provided to you, and there’s even complimentary beverages onboard for when you resurface.